This is a continuation of Part I. The Eritrean regime is crumbling fast after sowing so much mistrust among us. Instead of respecting our diversity and building on its positive aspects,it has worked hard to deepen and escalate the ethnic, regional and religious difference. The urgent question we need to address is: how we are going to manage post-regime Eritrea? Are we ready? 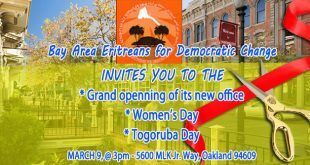 How do we reclaim the ideals of the Eritrean revolution that was high jacked by the EPLF/PFDJ, and build a free democratic country that respects the diversity of its people and that is at peace with itself and its neighbors? Are we prepared for that and what can be done? And what happens if we fail? Irrespective of his intentions, Yosief Ghebrehiwet’s article part II, ‘The circular journey in search of Eritrea: the world distance that was never was’ raises important issues that we need to reflect on and address. He touches upon ethnicity, on preserving one’s identity, on grievances related to religion language and democracy, on peace and security, on economy and federalism. That is the core of managing our diversity and economy. To the best of my understanding, Yosief’s main premise seems to be that we could have solved (or could have solved) all those issues better had we not separated from Ethiopia (or by becoming part of it). He sounds like a religious person telling you all that all our problems are caused because you have not followed God’s teachings and that things will be fine if you go back to God. In 1988 I was in Khartoum when the Nile flooded and destroyed several Sudanese villages. It was regarded as a curse from God since they were not prepared to manage the floods. At the same time in Egypt it was regarded as a blessing from God because they havethe Aswan Dam. Yosief’s logic is also like a traditional healer telling you the best cure you get is only from traditional medicine. Everyone (or everygroup) has the right to be proud of their identity (be it Habesha or Beja or otherwise) good for you, but do not by undermine the Eritrean revolution. I am convinced that there is no ethnic group, race or religion that is better than the other; to claim otherwise is sheer chauvinism. There are elements that are born with, such as ethnicity that we can not change, and there are elements we are born into, such as faith, and there are other factors that we acquire, such as our political affiliation which we can change. We could also be born into a particular mode of production: agrarian, pastoral or trade. We can shed any of it off, but culturally it affects how we think and how we behave. Religion has a much greater influence on us depending on whether we take it positively or negatively, though it is a matter of relations between an individual and God. Religions teaches us moral values; I believe more on humanity and humane ideals and that our good attributes are part and parcel of our fundamental human values. 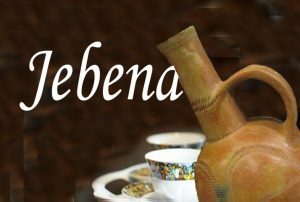 There are cultural differences between the Eritrean Highlands and Lowlands, and that will be with us for centuries to come whether we are part of Ethiopia or not. Understanding the cultural aspects can help us understand each other better. For example, there is a well-funded mushrooming of churches in Barka and Gash, it is supported by the state and the Lowlanders see that as a religious invasion. Under normal circumstances, from a Highland perspective, a church is a central social and religious center. Christians pray in churches while Muslims can pray anywhere, even under trees, but a few Christian families will strive to build a church wherever they live. All members of a community in the Highlands are members of a particular church, thus Muslims, both in Eritrean and Ethiopian Highlands are regarded as immigrants simply because they are not members of those church communities. Another different cultural perception is that farmers who come to the Lowlands consider any unfenced area (pastoral land) as no man’s land and so they cut the trees and claim that land as a personal property, forever. For the pastoralist it is important that they do not cut trees and leave the area to replenish until they return to it. Also, the Highland culture is very centralized and generally focuses more on keeping its own interests, while the lowland culture is generally more diffused and focuses on being just to others first. This perhaps partly explains why in 1974 the people of Asmara came out in attempt to stop the civil war between the ELF and EPLF, while in 1981, no one came out to even say “Ageb” be it inside Eritrea or elsewhere to stop the war when the EPLF/TPLF coalition attacked the ELF. After the Independence of Eritrea in 1991, Muslims were regarded as fifth column (“Hamshai meseri’e”) and treated with suspicion in their own country. 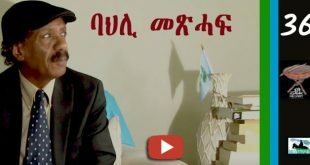 For instance, we observes something in Paltalk rooms: In Tigrinya Paltalk rooms a guest who speaks out against the regime is regarded as a hero; every time a new person talks, a new hero is created and everything the guest says is taken at face value. 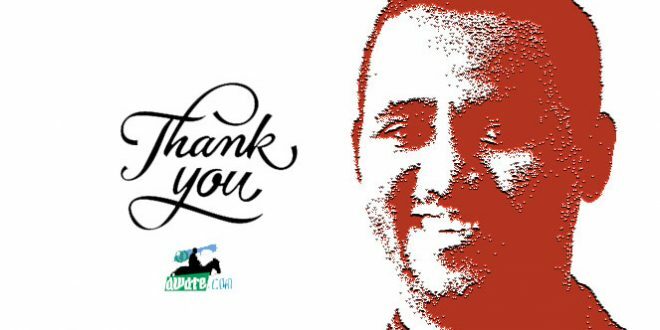 In the Arabic paltalk rooms, the audience listens with skepticism to most of what is said and regardless of what the guest says, he is treated as no better than the rest, he is simply not a hero. These are things we need to understand. We need to develop effective translation facilities, until we make use of technology so that all of us can move together. 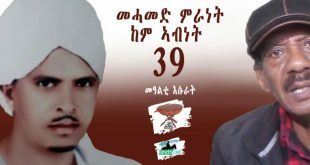 It is difficult to claim that when the ELF launched the armed struggle with a clear vision except to struggle to liberate Eritrea from the the occupation of Ethiopia–even if some of the veteran leaders had a clear vision of the goals of the revolution. The vision started to be refined in the Adobha military congress and subsequently in ELF’s first and second national congresses and the EPLF congresses. If we had a clear vision we could have avoided or at least managed civil war less painfully, we could have avoided the revolution developing into a dictatorial regime. The Muslim-Muslim conflict during the early years of the ELF may have cost more lives than any between Christians and Muslims. The same holds true in the EPLF, the Christian-Christian conflict may have caused more lives than any of the religious divide. If we look at our close neighbors who waged armed struggles, the TPLF for instance, we find that the organization underwent a metamorphosis. 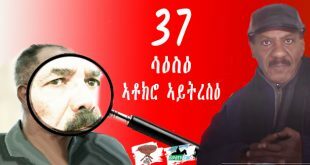 It started as a national organization aiming to liberate Tigray, though all the revolutionary forces in Ethiopia were struggling for change with the slogan of self-determination including and up to cessation. It entertained, at times, an extreme Albanian style of communism which put it into unnecessary ideological conflicts with the rest of the world, including the Eritrean revolution. But finally it realized that it needs to form a broad alliance of Ethiopian ethnic organizations and work for a multi-ethnic, multi-religious and multi-cultural country. It managed to achieve its goal and the right of self-determination including and up to cessation is included in the constitution of today’s Ethiopia. The TPLF was pragmatic and flexible and so it won. We are a small country with diverse ethnic groups. Genetically speaking, as human beings whether from Africa, Europe or Asia or elsewhere, we share 99.9 % of the same genetic code, only 0.1 % of our genetic make up differs. We all evolved from Africa. Humans and chimpanzees share about 98% of their genes. The dog shows 85 % genetic similarity to humans and even the fruit fly shares about 60% of its genes with humans. So generally speaking there is not much difference between us as Eritreans. We live in the same area and that the Eritrean revolution have made us know and interact with each other better; we share a lot of history and culture and our lives have become bonded with blood. Whether you are from Hamassien and you come from Dekki Teshim, Logo Chewa or Lamza Saharti, or from Akle Guzai in Eggela Hatzin or Deki Admekom or Meretta Sebene, or you come from Seraye in Qohain or Anagir or Habela there is very, very little difference among you. The same applies to the other groups. Nadels book, “Tribes and Races of Eritrea” (1994) is an old book that those who want to understand the complexity and simplicity of the Eritrean society must read. Those of us who spoke Arabic had a competitive advantage. We could listen to Arabic broadcasts not only from the Arab world but from the BBC and VOA and others. We could listen to Eritrean broadcasts from Somalia. We read the rich literary and revolutionary literature in Arabic; while our other colleagues were confined to listening to the Ethiopian Radio and reading its periodicals. Even Isaias Afwerki had a competitive advantage over many of his Tigrinya speaking colleagues by learning Arabic at an early stage which he employed to crush his opponents. Until recently he even maintained diplomatic advantage in the Arab world over a regional power, Ethiopia, through the mastery of that language. If I were the Education Minister in Ethiopia, I would make Arabic one of the compulsory subjects in schools–why would they teach English and French when Arabic is a major language in the region which includes big labour market for many Ethiopians! It should be looked to from the economic aspect in addition to cultural aspects. My colleague, Ghirmai Zemichael, a Christian highlander who grew up in Agordat and went with us to an Arabic school, is regarded just as ‘wed-Agordat’. He fought with the ELF units stationed in different regions, including in Dankalia. He speaks Arabic much better than me and knowing that language has widened his perspective and has not converted him to a Muslim as much as knowing Tigrinya has broadened mine in understanding our kinsmen in Eritrea and Ethiopia and has not converted me to a Christian. We enriched our knowledge by every language we know. Arabic has been there and will remain as a component of the Eritrean reality. We are both, as many others are, part of the new reality in Eritrea, we are the product of the Eritrean revolution which is currently being used as a scapegoat for all ills in Eritrea, to the extent that the deteriorating art-deco in Asmara (built by a foreign culture) is regarded as one of its victims! Ghirmai and myself do not need to go back to a static starting point called Habesha or otherwise. Each one of us can be proud of his identity as one defines it. If the Jeberti define themselves as Jeberti, no one has the right to define them otherwise. Our diversity is simply our beauty, it is not limited to the diversity of dancing and entertainment as promoted by the PFDJ. 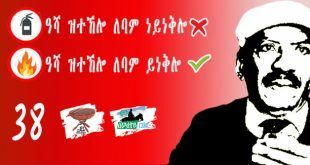 The ‘Hade-hizbi, Hade-libi’ (one people, one heart) as proclaimed by the PFDJ or as campaigned for by some circles in the opposition has failed. Yosief’s and other similar articles do more damage than good to the future Eritrean-Ethiopian relations. They open and scratch old wounds at the time we want to forget, forgive, heal and move forwards to create a new relationship with our neighbors based on mutual interest and respect. I sympathized with both the Affar and the Kurdish people and their right to have their own state since I was young, but history is not always just and that means they have to live divided between different countries. Somalia with a homogenous population has also failed as state which means homogeneity is not precursor to success. I am very liberal on such issues and I believe in the right to self-determination. One cannot be democratic when it serves him and be undemocratic when it doesn’t. I believe we have to make a future democratic and united Eritrea that we all fought for, attractive to all our ethnic groups to live as part of Eritrea and unity has to be voluntary. We have to make it attractive to the Affar or Kunama or Beni-Amer or Tigrinya or other groups that they will enjoy much better rights in Eritrea than in other neighboring countries; that they can continue to have very good relations with their kinsmen across the borders, that they gain from all neighboring countries competing to make their lives better wherever they are. We will strive to make the united Eritrea a haven for peace and development. We have a great chance to succeed, but we can fail if we focus on petty issues that divides us. My biggest sympathy and support in Eritrea goes to the Kunama who have almost always been on the receiving end of oppression. Their unique traditional beliefs and practices have been seen as backward. Their lands have been regarded as no-man’s land not mainly by the Tigrinya speaking settlers (supported systematically by the regime since independence) but by other settlers, too. Every time new settlers come to their place they move to marginal places. Every Kunama is seen by the regime as an enemy and are subjected to cruel treatment; Kjetil Tronvoll has documented some of the crimes against the Kunama. 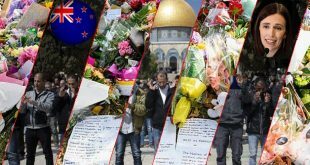 It is true that they have generally lived in peace with their immediate neighbors, the Nara and Beni Amer, and it is in their best interest to continue to do so. It is in their best interest also to identify their issues correctly and work with their strategic allies. Mishandling of their cause during the armed struggle has made a few of them side with Ethiopia during the liberation war, though the Kunama were an integral part of the revolution. 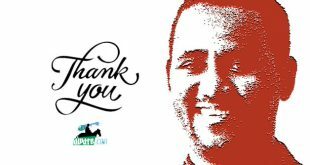 The accusatory statement by DMLEK on Awate was unsubstantiated, unwise, untimely and showed lack of political maturity of the leadership of the organization. They know their locality more than any other group and injustice is injustice whoever commits it. It becomes distracting to focus on historical events when the urgent task is saving the country and its people. Such issues and accusations should be raised in reconciliation process among all Eritreans after the fall of the regime, especially that there are a lot of atrocities committed on the different constituents. The anti-Awate statement created a rift in the opposition camp and it was exploited by those who are always ready to fish in dirty waters and it did not serve the Kunama’s case either. The reaction by many of the political organizations was neither proportional nor objective. Yet one needs to understand history and culture to see why there was widespread strong condemnation of the DMLEK statement. When you feel you have lost almost everything in the revolution as I explained in Part I, you do not want also to lose your history, your symbols. It raises the question, what next! I hope the DMLEK can come with a reconciliatory statement to regret at least the timing, the selection of words, the consequences but to keep the right that its claims need to be investigated at an appropriate time. That way we can all move forward despite the damages. All have learned their lessons from this and we need to focus on the current urgent issues rather argue on historical events. Hamid Awate was a human being and nothing sacred; if there are substantiated excesses committed by him before the start of the armed struggle then there is no reason why those issues cannot be investigated. History will prove who was right. 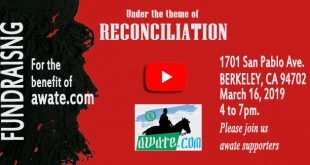 As a matter of fact, all crimes committed during the peaceful struggle era or during the armed struggle period in those areas or other parts of Eritrea need to be investigated and documented so that they can be looked into in a reconciliation forum. But Awate, as a person who fired the first shots against the Ethiopian occupation will remain a historical figure, a national symbol to most Eritreans though we know there are other national heroes in different countries and the people seldom agree in full about them. Despite all what we hear at present Paltalk discussions that expose the practices of the EPLF and which most of times just focuses on negative aspects of the Eritrean revolution, we need to see the positive developments. 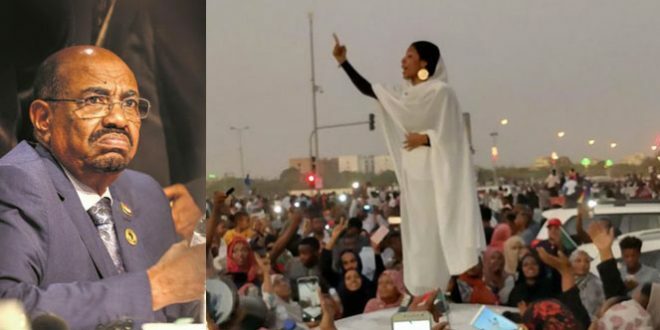 The formation of the Eritrean National Alliance (ENA) and later the Eritrean Democratic Alliance (EDA) though far from perfect has helped in creating a wider Eritrean opposition camp that includes civil societies and other activist organizations. 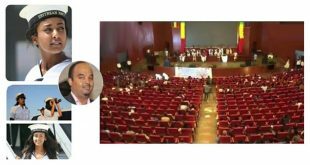 The Eritrean National Conference for Democratic Change (ENCDC) and other youth conferences have widened the Eritrean opposition platform. The leadership has so far not delivered much but initiatives that the youth organizations are taking has mobilized large sectors of the population that has cornered the regime. The regime’s isolation and weakness has caused it to take desperate measures to arm the population and that has put Eritrea in very special circumstances. We need to bring all components of the Eritrean opposition under one umbrella; we should not give the regime any breathing space. We need to reach out to our people inside Eritrea and assert that ultimate power lies in their hands and that our aim is to empower them to own their own destiny–our immediate aim has to be the salvation of our people and country. Even after we change the regime, we need to recognize that Eritrea is a small country with big neighbors that includes our kin. We do not have the capacity to compete with them for regional leadership, but we will have good friendly relations that serve our mutual interests. We need to have special relations particularly with Ethiopia and Sudan, but also with Djibouti and the countries across the Red Sea. We should make the best use of our diversity and be members of the World council of Churches, the Conferences of Islamic States and other regional and international organizations. We can gain much by investing on human resources and on the services industry such as tourism. We have a hardworking people which is a big asset. Our biggest enemy shall be fighting poverty and improving the livelihood of our people, our hard currency shall be to preserve peace. The road won’t be paved with flowers, the transition period may be difficult but we will overcome it with determination to succeed. We cannot afford to fail again as we will not have another opportunity. Previous Have You Seen This On The Mainstream Media?